ABSOLUTELY WONDERFUL 2 bedroom PLUS a den, 2 bathroom residence on an ideal interior lot on this cul-de-sac street within the award winning guard gated 55+ master planned community of Trilogy at Power Ranch. This is the spacious Dogwood floor plan w/a GREAT room which is open to the kitchen & the formal dining area. The kitchen has white cabinetry, GE profile appliances, a kitchen island & corian countertops. The laundry room is large enough to double as a hobby room! 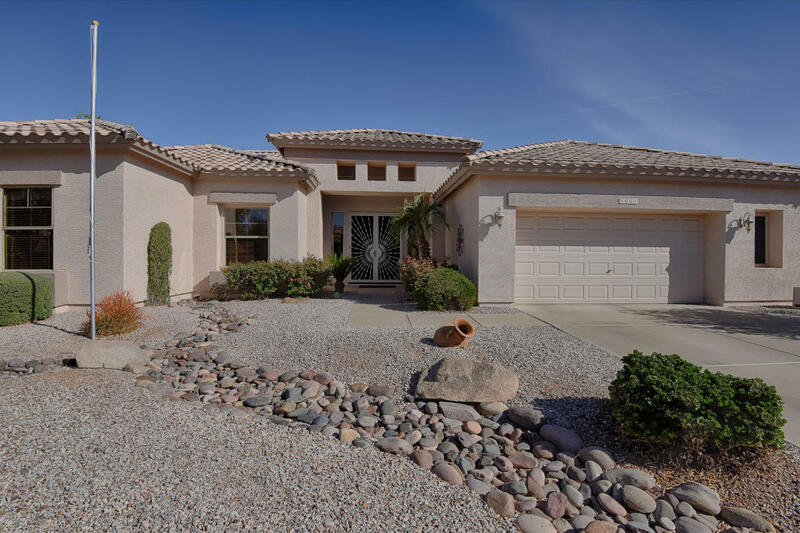 The master suite has dual vanities, separate shower & soaking tub & a walk-in closet plus access to the covered patio area and attractive backyard w/EZ care desert landscaping. The Trilogy at Power Ranch offers a lifestyle with golf, tennis, 2 pools, restaurants, activities & so much more! This home exudes pride of ownership!